So, I have put my Epson Perfection V30 scanner away for another year. That's the scanner I bought in a CyberMonday sale immediately upon my return from Chicago TARDIS 2009. So, I guess that means only one thing....I've just come back from Chicago TARDIS 2010, and finished going through all my digital photographs and posted some to my online album and scanned the professional photographs and autographed material. 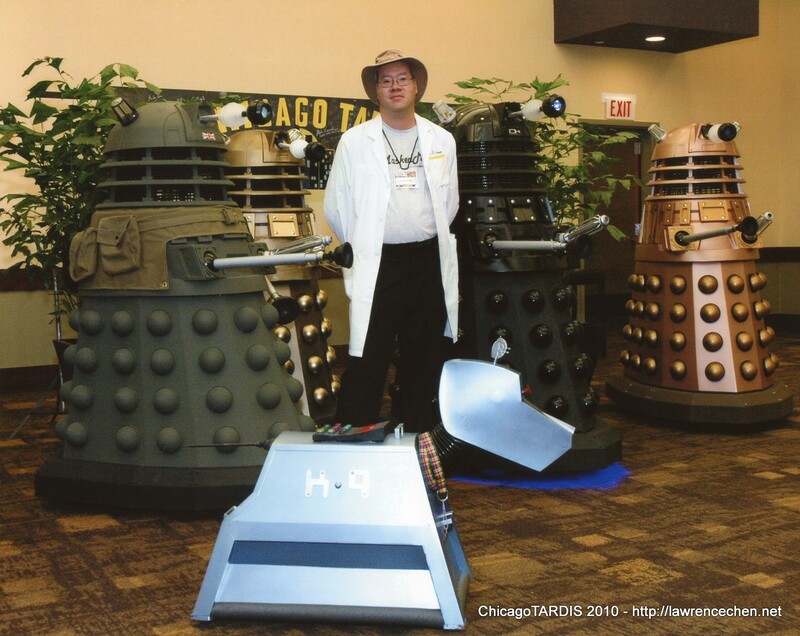 This time around, I found Chicago TARDIS to be much more enjoyable....despite the hobbling around with the broken toe, and the wooden shoe being kind of slippery on the tile flooring. I only almost slipped twice....once in the lobby and another time in Holy Mackerel. There are 18 years 8 months 28 days 20 hours 2 minutes and 48 seconds until the end of time. And, it has been 6 years 3 months 29 days 18 hours and 8 seconds since The Doctor saved us all from the end of the World!